Bradbury Estate Realty listings - Bradbury Estate Realty Inc. STUNNING 4 bedroom/3.5 bath custom built family home just steps from Bronte Creek Walking trails, Bronte Village, and waterfront activities! Ceramics & Gleaming hardwood throughout main floor, 9' ceilings, recessed lighting, and a large family room that opens up into a spacious kitchen with cherry cabinets & granite counters. $130,0000+ spent on a professionally landscaped backyard oasis! This yard has it all; extensive wood decking, stone patio with gas fire pit, private hot tub and a custom salt water pool with waterfall- perfect for entertaining or family fun! Upstairs you will find 4 large bedrooms, multiple walk-in closets, vaulted ceilings and beautifully finished baths. Downstairs is a professionally finished basement that could be used as a nanny/in-law suite complete with wet bar, large bedroom and a 3-pc bath. Close to highway access and all amenities. One Floor Living! This spacious & bright 3 bedroom Aldershot bungalow is located on an oversized 73'x134' lot with views of the Lake and LOADS of potential! This home features large principle rooms, a flexible layout, separate dining room, original hardwood floors, cozy gas f/p, ensuite bath, sunroom, double garage/drive, in-ground sprinkler system and a huge unfinished lower level with high ceilings. Exceptionally well maintained, updates include new shingles (11), windows (07-13), Lennox Furnace (02), Lennox A/C (06), electrical (08). All within minutes of the Aldershot GO station & 403/QEW access. 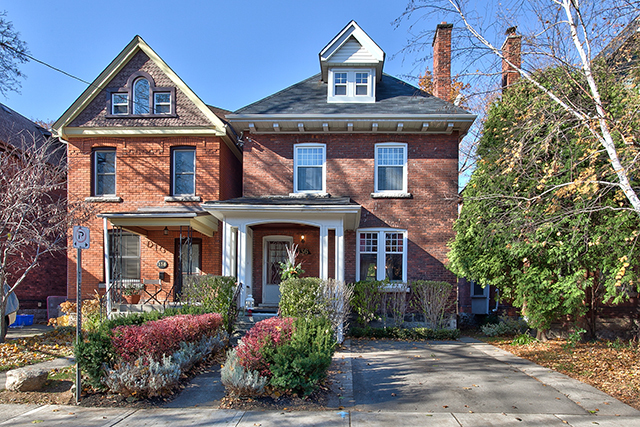 Elegant 2-storey family home walking distance to the beach, downtown and the Go train. The large eat-in kitchen features a built-in oven, updated back splash, and loads of cupboards and counter space. Beautiful wood floors are a feature throughout the entire home. 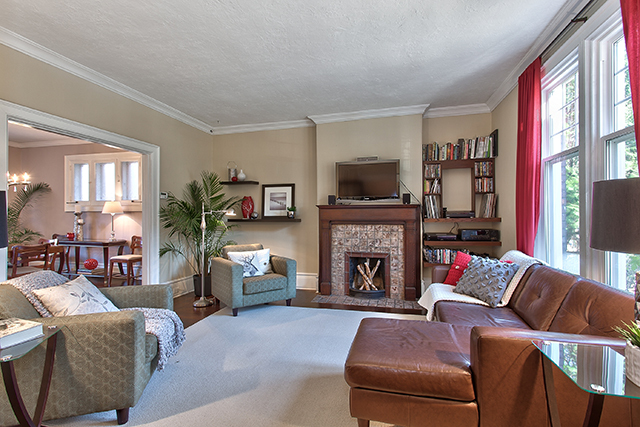 Family room has a stunning gas fireplace with bookcase surround. The second floor has 3 generous bedrooms with brand new carpet (2014). The master has a walk-in closet and a 5-pc ensuite. The basement is fully finished with a rec room, office/bedroom, potlights, 3-pc bath, laundry, a "secret" workshop and still loads of storage. Furnace, a/c, 2nd floor windows - 2 yrs old, Roof 9 yrs old (30 yr warranty). office/bedroom and even a home gym /bedroom. & near shopping, restaurants and parks. Beautiful 3 bed/2.5 bath home in family friendly Alton Village. This home is located on a quiet street with a double car garage and a walk-out to a large wood deck. 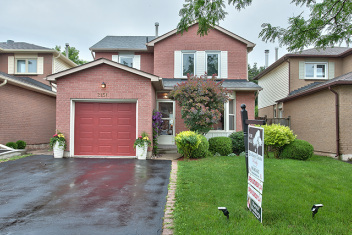 Hardwood floors, a large eat-in kitchen with loads of cupboards and counter space, and main floor laundry. Large master bedroom with gorgeous ensuite bathroom and walk-in closet. The unspoiled basement is awaiting your finishing touches. Fantastic commuter location close to all major highways, large box stores, restaurants, parks, trails, new recreation center/library and fantastic new schools. 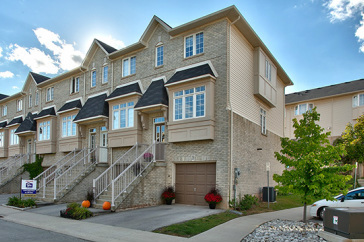 Elegant upscale Muskoka living just steps from Ancaster Village. This home is deceptively large with over 4000 sqft. of living space with a walk out basement to a private backyard oasis. Nature is the inspiration for this family urban retreat. The pool has a natural inspired ledge stone waterfall that cascades into a pond/pool that is perfect for entertaining large groups or your private enjoyment. The California inspired open concept floor plan has great flow with abundant light flooding the large principle rooms through 2 oversize solarium windows. Elegant 2-storey 3bedroom, 2.5 bath family home is on a beautiful private 200' deep park-like lot on a quiet street in Brant Hills. Spacious open layout, gorgeous wood floors throughout, stunning wood burning fireplace with built-in surround, walk-out to tier covered deck onto HUGE lot backs onto TCPL green space, new furnace and air conditioner. desirable Burlington core. Amazing walkability; walk to the library, YMCA, Seniors' centre, theatre, restaurants, Burlington trails, mall, lake and downtown! This 3 bed/2 bath home has large sun-drenched rooms. Features include pot lights, wood floors, cozy fireplace, and stainless steel appliances. Outside, enjoy the private yard, oversized raised deck and amazing potting/utility shed with electricity. Parking for 2 or 3 cars in your private drive just off of Delaware Ave.
Beautiful 3 bedroom family home on quiet crescent in Longmoor. Enjoy your beautiful yard with walkout from dining room onto a "secret" private patio with a knotty tree and a pond. The home features beautiful hardwood floors, updated kitchen with backsplash, new finished basement an tons of windows that let in the sunshine! Must see! AMAZING 3+1 bedroom home boasting over 2600 sq/ft of total living space. Situated on a large 43' x 135' pie shaped lot nestled into the bend of a quiet crescent! OVER $75k IN UPGRADES! Featuring new custom eat-in kitchen with granite counters, island, & backsplash. Cozy sunken family room has hand scraped black walnut hardwood & a stunning ledge stone wood burning fireplace with built-in shelves. The large master retreat has a walk-in closet & new 3 piece ensuite with granite & new floors. The new basement adds 600+ sq/ft of finished living space including a teen or in-law space with an extra bedroom & private separate office. STUNNING 2 bedroom / 2 bath modified Lakeside model 1507 sq/ft. Tranquil, sunny with unobstructed views of Lake Ontario. Huge 10.5 x 23.0 tiled terrace offers amazing views of lake, sunsets, treetops, gardens. Spacious layout, BRIGHT, upgrades including granite counters & cabinets, stainless steel appliances, crown molding, neutral & clean. Shows 10+! Stunning 2 bedroom, 2 bathroom executive ground floor condo. Features include private patio and garden, 2 parking spaces, upgraded kitchen and bathrooms, new ceramics and engineered wood floors throughout. Tons of storage and in suite laundry. Walk to shops, restaurants, parks and schools. Close to QEW and GO Station. Eat-in kitchen with walkout to mature fenced yard on premium lot. Unique, upper level family room with wood-burning brick fireplace. Strip hardwood throughout main floor. Walking distance to parks and fantastic schools. Fully finished basement, large multi-level deck, furnace still under warranty, 95% new windows and driveway with concrete and walkway. 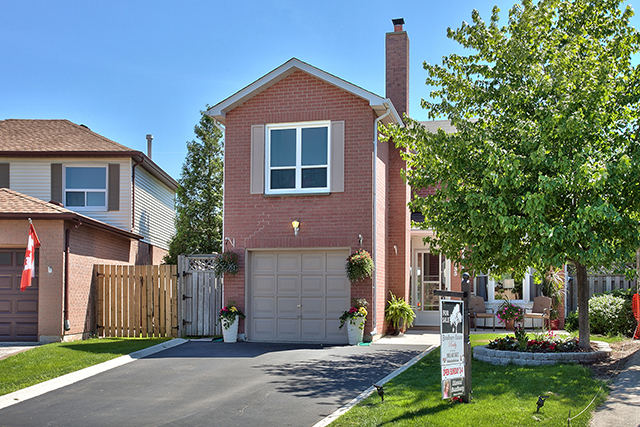 Walking distance to Appleby GO, extensive trails, parks, Starbucks, gym & shopping. Upgraded kitchen features granite counters, SS appliances, extra pantry, espresso bar & window seat. Dark hardwood floors, cozy fireplace, vaulted ceilings, lower level with walkout to spacious deck.